A great query letter needs only two things: a hook sentence at the beginning that catches the editor’s attention, and the information that editor needs to know if your article would make a good fit for his/her magazine. If you're nervous about getting started, you may want to try publications that do not pay first (they get less flooded with query letters). Sally Stuart's Christian Market Guide lists not only the publications, but the editor's name, e-mail address, and what they are looking for as far as topic and word count. Any important details like word-count, whether first rights or reprint rights are offered, etc. A clear question, such as "Would you be interested in using this article in your magazine?" The Bangladeshi boys were excited about going to Bible camp, learning about the heroes of the faith. When the trip was stopped, their leaders beaten, and the boys taken to prison, they realized that this year, instead of learning about the heroes, they had the chance to be like the heroes. So, like Paul and Silas, they sang in the prison, and scratched Bible verses onto the walls for future prisoners to find. In Jail for Jesus, based on true events, is attached for consideration for your Heroes of the Faith issue. It has been published once before, in Guide magazine (2010) so reprint rights are offered. Would you be interested in using In Jail for Jesus! in Cadet Quest magazine? I have been published over 150 times, including once before in Cadet Quest. Now, don't start freaking out if you haven't been published 100 times or whatever. If you've been published once, say so and tell them what and where. If you've never been published, tell them that you regularly speak on this subject, or that you believe readers will be encouraged about your article because _____. Just don't go for the new-kid vote, as in "I've never been published before and I really want to get published, so..."
Well, are you excited about getting started or overwhelmed and want to give up already? I promise it gets easier the more you do it. Writing queries is a learn-able skill, like driving, so once you get it mastered, it becomes second nature. It's the starting that's the hardest, so don't get discouraged—just get started! 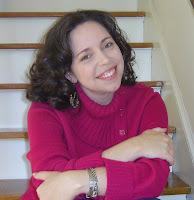 Kimberly Rae has lived in Bangladesh, Kosovo, Uganda and Indonesia. 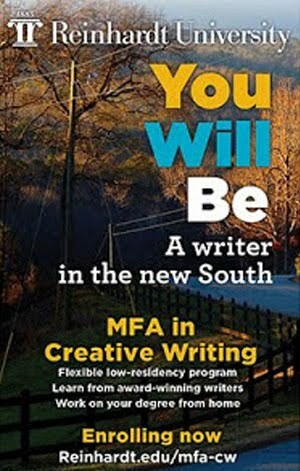 She now writes from her home in Lenoir, North Carolina, where she loves to write outside overlooking the Blue Ridge Mountains. Her first novel, Stolen Woman, a Christian suspense/romance story on international human trafficking, is available in paperback and on e-book. Find out more at www.stolenwoman.org or read about Kimberly’s overseas adventures on her blog at www.stolenwoman.blogspot.com. Meet Kimberly online at her website, blog or Facebook. Wouldn’t you like to have the best idea for a book? Wouldn’t you like to write that book and see it published within sixty days? 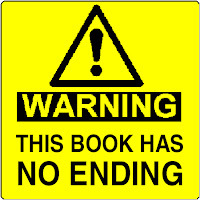 Wouldn’t you like that book to be a runaway best seller? Wouldn’t you like for that book to be made into a movie? Wouldn’t you like for that movie to be the best movie in decades? Wouldn’t you like that to be the biggest grossing film ever? Wouldn’t you like the publisher to give you a contract for ten more books? Wouldn’t you like the movie producers to commit monies up front to produce them all? Not really me. I don't wear horizontal stripes. I couldn't have been any older than eight or nine but I'll remember the moment as long as I live. I was watching a TV show and at one point, the station went into a commercial break. But instead of an ad for Texaco or Alka Seltzer, there was only a black screen which lasted for many attention-getting seconds. After an eternity, a countdown slate appeared and, finally, a commercial came on. Even at that young age I realized an error had been committed and thought, "This is professional TV! That can't happen!" Up until that time I believed TV had to be perfect, including all the broadcasters, actors, and everyone connected to it. This was big time entertainment, with no room for error! In my shell-shocked state, I made a pint-sized pledge to myself that if I ever worked in a professional capacity, mistakes like that would never happen on my watch. Today I know better. Careers in the arts and media have since educated me about the reality and the frequency of technical difficulties, dead air and human error. In my modern-day position with a fine metropolitan magazine, I see (and make) no fewer mistakes, which keeps me humble and grateful for our team of trusty proofreaders. I wish I had a fiver for each time I carelessly typed one word while thinking another, or tried to spell dilemma "dilemna" (though I swear that's how they spelled it at my school)! With that in mind, you'll appreciate an excellent post written by Brian Clark of Copyblogger. In his 15 Grammar Goofs That Make You Look Silly, Brian spells out some of the most common grammatical errors writers make. I invite you to check it out. Here's to a faux pas-free writing week for all of us. Meanwhile, I'll be monitoring local TV today to see how many Memorial Day car commercials are still running, and saying a little prayer for all the nine year olds whose faith in mankind is dashed. Kings and Queens have them. So do politicians. Men and women in the military salute those who have them. Your boss has one, and maybe you do too. Whether you sit on a throne or a tractor, titles are important. And the same is true of book titles. A good title should attract an editor’s eye the same way it would attract a reader’s. Attract the reader’s attention, be memorable, appropriate to the content, interesting or evocative, represent your work, be identifiable with your brand and most importantly, a title should be exciting! Be a popular expression or a play on words, come from an existing work, be a person’s name, reflect your setting, be possessive, put forth an association of ideas, represent an event or activity, repeat a memorable line from a story, or have rhythm. 1. What is the book’s genre? 2. Keep the title short and sweet. 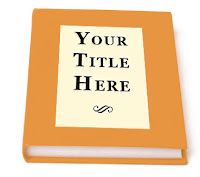 would come up next to your title? 5. Be open to changing your title if the publisher wants you to. 7. Reduce your story to the lowest common denominator and that could be your title. 8. Look into your heart—you’re the writer! 9. Ask advice from a close friend or critique partner who has read the manuscript. 11. Is there one character that stands out? Try that character’s name. 12. Write down a long list and rearrange the words. Cross some off. Most titles on the bestseller list are no more than three words long. But don’t rule out a long title, because sometimes they work. Titles are not copyrighted. 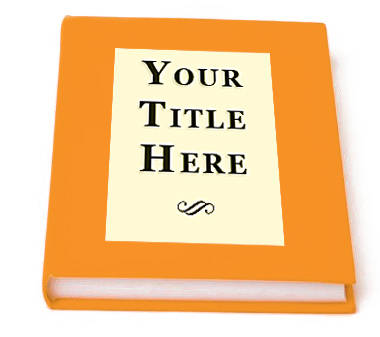 Submit several title ideas with your proposal. a popular expression: What’s Up Doc? If an editor likes your title, it is more likely they will look at your proposal with an open mind and an attitude of expectation. They will want to like your work. A good title also tells a publishing house a lot about your creativity. It’s up to you to keep their interest beyond that über title, with a dazzling story to match it. 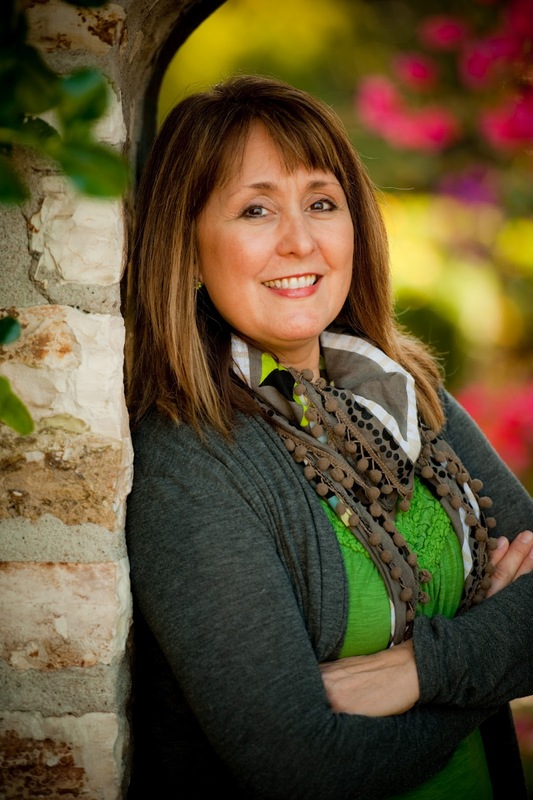 Linda P. Kozar is the author of Babes With A Beatitude—Devotions For Smart, Savvy Women of Faith (Howard/Simon & Schuster, Hardcover/Ebook, 2009), Misfortune Cookies (Barbour Publishing, Print, 2008). 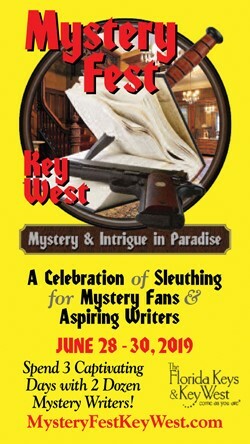 Misfortune Cookies, the upcoming A Tisket, A Casket (June 3), and Dead as A Doornail (June 10) (Spyglass Lane Mysteries, Ebooks, 2012), and Strands of Fate (Annie’s Attic Mysteries, Hardcover, 2012). What book(s) are you currently reading, and why do you enjoy this type of book? The brief burst of beauty from a flower, the budding splendor of a dogwood tree draped in the majesty of spring, the seemingly overnight transformation of God’s creation going from fall, winter, spring, summer. All are but a brief, succinct glimpse of the poetic brilliance of our Creator. Yet in reality the creation of God and all His people go through a long time process of transformation which in due time brings out the glory of the long awaited blooms of redeemed beauty. Countee Cullen’s twelve line poem, Incident, reminds us that truly we are created in the image of God, the creator of the universe, and everyone has the right to be treated with dignity and respect. The last line of his poem that came from the agony of his heart, “I saw the whole of Baltimore from May until December [but] of all the things that happened there that's all that I remember!" This is a powerful and brilliant example of capturing a life changing devastating incident of prejudice into twelve lines. Some of the greatest examples of brevity in poetry is found in the hymns of the Christian faith. Here are but a few: Amazing Grace by John Newton, Have You Any Room For Jesus by Daniel Whittle, Joyful, Joyful, We Adore Thee by Henry Van Dyke, Crown Him With Many Crowns by Matthew Bridges, & Godfrey Thring. All were poets who took the great doctrines of faith and made it come alive through the artistry of poetic brevity. Emily Dickinson’s poems are often times brief paintings of poetic succinctness. Her poem, I'm Nobody, Who Are You, is a humorous, jaunty, and whimsical look into the concept of self importance. This poem is only eight lines and one of her most famous. There is great beauty in succinctness of thought and word. It is oftentimes found in art, music, and poetry, and in the Bible. It is located in the Psalms and in many of the poetic books of the Bible. The brevity, brilliance, and barometer of the love of God for the world is found in Psalms 23 and in so many of the Psalms as David chronicles his life journey with God through poetic verse. Psalms 23 is only six verses. Six brilliant succinct divine poetic gemstones used to comfort those going through a difficult time. -Study poetic forms that utilize brevity. -Study cadence, rhythm, rhyme, word choice and poetic imagery. -Research poets you like that are masters of poetic succinctness. 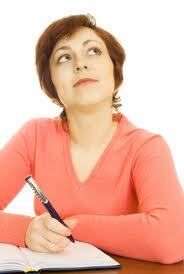 -Challenge yourself to write a 8-14 line poem. Be willing to write, rewrite, cut and edit. -Realize artistic brevity takes practice, practice, practice to achieve. -Never give up on your dream of writing poetry. Happy poetry writing. Have fun experimenting with the artistry of brevity and succinctness. 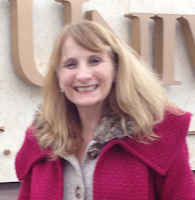 Debbie Harris holds a Bachelor of Science degree in Speech Education, a Master of Performance Studies degree from Bob Jones University, and a Masters of Science degree from Texas A & M University at Commerce with a double emphasis in School Counseling and Community Counseling. She has also served as Assistant Professor of Speech & Drama at Grand Rapids Baptist College and Seminary (now Cornerstone University) and as Adjunct Professor of Drama at Dallas Baptist University. She is currently a School Counselor and has been a volunteer Chaplain at Parkland Hospital. Her passion is to further the Kingdom of Jesus Christ through Christian Poetry. She is the author of a poetry series, Which Church Am I? which is listed on Amazon, Barnes & Noble, and Christian Bookstore Distributors. She is currently working on her next book, 365 Christ Centered Contemplative Poems. Have you ever been hooked by a book, entranced with the plots and sub plots, complete with unsuspecting twist and turns? The kind of book you stay up past your bedtime into the wee hours of the night to finish. 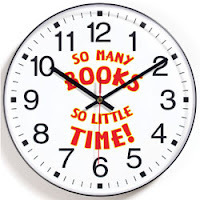 An author's dream, readers who stay up to finish a book you wrote. Yippee! But then you reach the last page, and the story doesn't end. Sleep deprived and left hanging (with no possibility of a sequel) you suddenly want to throw the book across the room and scream, "Seriously, are you kidding me?" The wonderfully woven story is left unfinished as if the author reached the max of words and was told, wrap it up. That's what happened to me with one of my pre-summer reads this week. This well-known Southern writer has a long history of NYT best sellers; many I had read and loved. In reflection, I suspect this particular book with its many issues was more of a personal memoir. 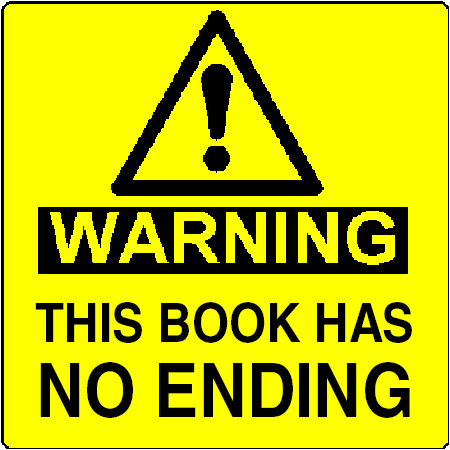 Possibly the reason the author left the stories unfinished is because there is no ending to the author's life stories. What may just be an author's airing of their life stories as fictional when it is really more auto-biographical is translated into frustration for the reader. Authors are you with me? 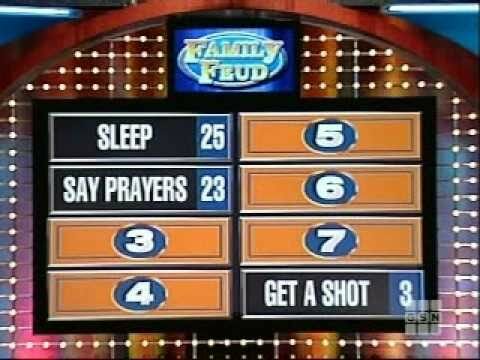 Call it mindless entertainment, a cheap thrill, or just a way to kill 30 minutes but I'll admit I'm one of those who'll stop on the Game Show Network if Family Feud is in the middle of Fast Money. I've got to stick around and see if my answers are better than those of the contestants, and of course they are, unfettered as I am by no lights, cameras, or pressure. Back in the days of Richard Dawson, there was a lot of non-game gab. In fact, the show was fairly insufferable for the first few minutes as he interviewed each individual contestant, asking where they're from, what they do for a living, how many pets they have, everything short of who they were in a past life. Doing so was fairly standard game show patter, and I blame it all on Groucho, who started the whole business of interrogating contestants to get them to say the secret word on You Bet Your Life. But that's not the case in this 21st century, as today's audiences won't sit still for long. We're used to MTV music videos, jump cuts, and getting right down to business. We're here for the main course, so show us the money. As writers we likewise needn't spell out every single laborious detail for the reader. Rather than have a character tell them that he's spent the last ten years hating his job as an accountant, show him at work, sweating over a ledger and being forced to work late by a demanding boss. They'll get it. Take a guess. 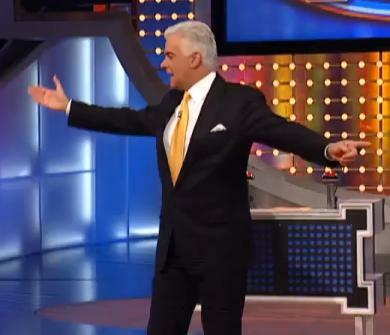 How many different hosts has the Feud had over the years? There's Richard Dawson, of course. It's easy to forget Ray Combs and Louie Anderson, as they don't seem to show up in reruns. My personal favorites, Richard Karn and John O'Hurley came next, and now they have Steve Harvey. That's six distinctly unique personalities with whom the show has always worked, because the time-tested formula remained popular and was never dramatically tampered with. We aren't there for the host as much as the game itself, or the plot, if you will. As we've discussed before, a good plot can be retold again and again under different disguises. West Side Story was Romeo and Juliet, complete with balcony scene. 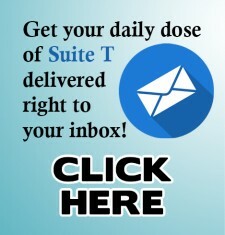 Give a proven story a facelift and the audience loves the combination of freshness and familiarity. "Name a food item that goes bad if it's not refrigerated." What in the world was this question? You have to feel some empathy for the family members, who, after their inlaw gives a woefully pathetic response, still muster the ability to clap and say "Good answer!" You can even hear the weak commitment level in their voice. Yet they support their teammate, why? Because friends don't let friends go down in flames on national television. The lesson to be learned here is that when we're writing, we are not on national television, so those rules don't apply. Rather than seek (or give) false praise over a less than awesome manuscript, the situation calls for genuine feedback from a trusted source that won't just say what feels good. Whether it's our critique partner, spouse, agent, or editor, it's everyone's responsibility to help one another make our writing the absolute best it can be. The world of literature will be better for it, and maybe people will spend more time reading (instead of watching silly game shows). 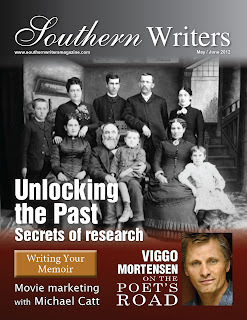 Sherry Perkins has a great article in our Southern Writers Magazine May/June issue entitled Viggo Mortensen: On the Poet’s Road. Many of us know Viggo Mortensen as the actor of such great films as Witness, A Walk on the Moon, 28 Days, The Lord of the Rings: The Fellowship of the Ring, The Lord of the Rings: The Twin Towers, The Lord of the Rings: The King Returns, Hidalgo, A History of Violence and many more. What many of us may not know is Mortensen’s talents as a painter, jazz musician, photographer, writer and poet. Sherry Perkins has brought out his writing talents and discussed with him many challenges writers face. Mortensen pointed out that he doesn’t like them any more now than he did then. Mortensen went on to say one learns to take it a little less personally or to at least to recover from it a little more easily. 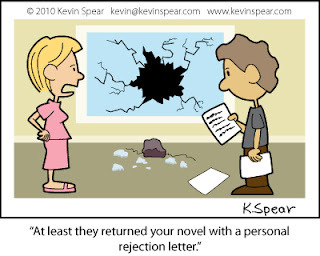 We can only wonder how long or how many rejections it takes before it gets easier. It would be great to know the rejections we get will eventually be easier to accept. But we must realize, as Mortensen said, if we cannot learn to accept rejection we will end up trying another line of work. Rejection is a personal thing each and every one of us must deal with. It can be hard for us to understand that an award winning actor continues to deal with it but it is there. It may become easier but it is there. If we are fortunate it will become easier but only if we continue to put ourselves out there. Here is hoping you continue and it does become easier. Mortensen’s insights on joining a writers group, his influences, writer’s block and other topics are of great value to writers and I hope you will take the time to give it a read. Sherry Perkins did a fantastic job with this article. Thank you Sherry! It's Friday and time for a little fun, fellow writers! Here's a picture without a caption. Come up with one! What inspires or reminds you to write daily? For me, it is a free app for my smartphone/tablet called "Vocabology". This is not an ad for a particular app; just the sharing of a cool tool that works for this writer. 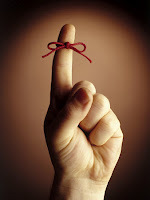 Life tends to evolve daily and without a reminder, I will forget to write, daily. Like you I concoct stories in my head all the time but I have to be reminded to write them down. Once the app is downloaded you have an option to have a reminder sent to "feed your brain". Today, I open the app and was presented with words of the day "skulk" from Merrian-Webster Dictionary, "shower fluffer" from Urban Dictionary, "intromit" from Dictionary.com, "abridge" from Yahoo Education Word of the Day, "windpipe" from TheFreeDictionary Word of the Day, "triangulate" from Wordsmith.Org Word of the Day. There are also Spanish, French, Italian, German and Portuguese words of the day. 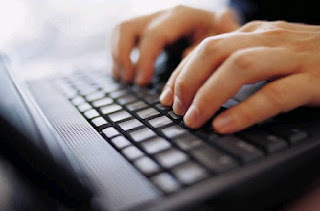 All words have options of the normal word origin, definition, parts if speech, etc. and there is even an option to hear the word pronounced, which comes in handy towards finding the voice of your writing. Love that all these options come to my phone and remind me to write. So yes, it's time to write using the words of the day. After being intromited into a shower fluffer when my windpipe was struck by a temperature change, I had to abridge my time under the water. Skulking out of the bedroom fully clothed it was time to triangulate the chores of the day. Thus a story is born. Stop laughing and pick up your pen or device and begin. Are you writing, yet? Rejection! We’ve all dealt with it from time to time. No one likes being rejected. It feels personal, and we take it personally. To experience this can be awful so it is important that we don’t let it consume us. It’s okay to look at it from each angle but then you must come to terms with how you will allow it to color your thoughts. When I was in my teens I experienced rejection from some girls in school, and it certainly hurt but my dad told me something important. He said, “Not everyone is going to like you or want to be your friend but it is imperative that you like you and you be a friend to you.” I took his words to heart. For the most part, I’ve tried to live my life that way. It showed me not everyone would like what I do, would like the decisions I make, like what I write, or even like who my friends are. Therefore, I had to make sure I approved and liked what I did, decisions I made, what I wrote and who my friends were. This can and does sometimes separate you away from the crowd, but it is more important to be true to yourself and do what is right. Rejection does occur in life; there's no way around it, but it is just one more step in the growing process on the road to maturity that helps us learn to accept ourselves. I'm not Italian, but my friends say I might as well be. Not because of my love for linguini, but because whenever I speak, I'm an emphatic gesturer. Indeed, if my hands were tied behind my back I'd be rendered mute. Gesturing, I've been validated to learn, is a form of communication unto itself. Psychologists say it's a physical manifestation of our thought process, perhaps more for our benefit than the person we're talking to, as evidenced by the fact that we often gesture while talking on the telephone. If you haven't seen the 2011 video of two babies engaged in enthusiastic, wildly gesticulated babble, I invite you to enjoy this short excerpt. Who knows what these twins are discussing, but odds are it has something to do with a missing sock. Some people are natural gesturers, others not; much like how some people are natural smilers while others show no such emotion to strangers. We can use these observations about communication to advantage as we give our characters their personalities. A gregarious, carefree hero is apt to be animated in his actions, while a shy wallflower is likely to behave in small, timid movements. "Don't ever do that again!" he exclaimed, slamming his hand on the table. She gasped and grabbed onto the chair, steadying herself. 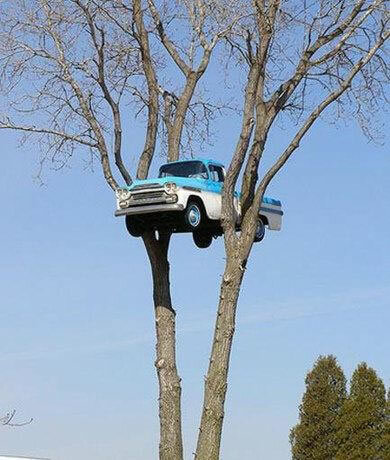 "What is wrong with this durn fool engine?" he said, rubbing the back of his neck. "I was happy to help." She started to smile but caught herself. Vernon shuffled into the kitchen, holding the envelope. Running his fingers around the edges, he contemplated whether he should open it before Lily was home too. He glanced at his wrist watch, then the mantle clock, but neither one registered through the fog of the letter. 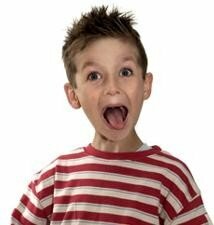 Actions can also be useful to suggest a character's reaction, without him/her saying a word, like pushing a plate of food away or slamming a door. "That's what you think," she said defiantly. She poured her glass of wine down the front of his shirt. "That's what you think." Conveying behavior through gestures and other body language is an effective nonverbal way to infuse personality into our characters, with the added bonus of giving our audience a visual. If you were at all entertained by the babies in the kitchen, imagine how much more compelling your story will become using gestures, since you write dialogue more interesting than "Da da da da da da da." I was once checking through customs in Rome and the young lady, seeing I was flying into Memphis TN, asked me if Elvis was still alive. I answered, “Some think so”. She said, “Before I die I am coming to Memphis to see Elvis”. 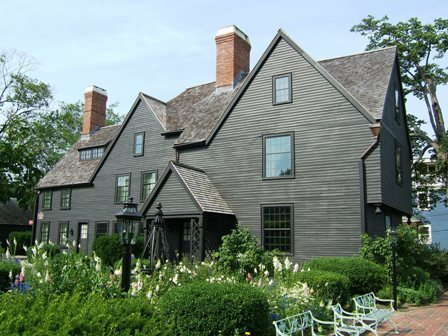 The Turner-Ingersoll Mansion, a seaside home in Salem, Massachusetts, was built for Captain John Turner in 1668. Having visited the home I can easily see the attraction. But the draw is Captain John Turner’s cousin Nathaniel Hawthorne. Hawthorne wrote a book about the home and due to the popularity of the book the home is better known by the title of the book, The House of the Seven Gables. Seeing the home with its secret staircases and notable architecture makes the book come alive. 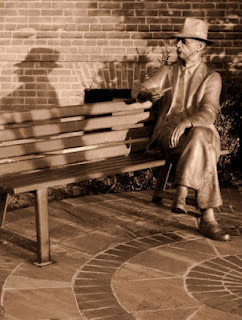 In Oxford MS, not far from the Greek revival home known as Rowan Oak, you can find seated on a bench in front of City Hall a life size bronze statue of Rowan Oaks' former owner William Faulkner. Faulkner’s writing about the area in which he lived went so far as to have a detailed map of the fictitious county of Yoknapatawpha. From this many locations were spoken of in his books As I Lay Dying, Sound and the Fury, Absalom, Absalom!, and TheUnvanquished. It was believed to have a strong connection to the county of Lafayette, the county in which he grew up. Tours of the home, the city and surrounding areas are available. The question is, like the chicken or the egg, which came first? Were people drawn by the book, the author, or the location? I think the answer is not which one came first but how wonderful the connection is. It is like Graceland and Elvis! Let’s take that concept one step further. What if you wrote a book about a specific area that was a popular tourist area and also used the location to market the book? In April 2011 Andrew Andrews published The Noticer, which made the New York Times Best-Seller List. It is about a mysterious man suddenly appearing to certain citizens of Orange Beach and Gulf Shores, AL and assisting them with their problems by using common sense. This was based on a true encounter Andy Andrews had years ago in that same location. Orange Beach is now Andy’s home town. It is also the Gulf Coast destination of hundreds of thousands of beach goers each year, my family included. 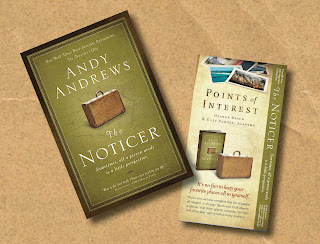 On a recent trip to Orange Beach I discovered in a gift shop Andy’s book The Noticer displayed alongside a Points of Interest brochure. The brochure compiled points of interest in Orange Beach and Gulf Shores AL "that have special meaning for New York Times best-selling author Andy Andrews.” How brilliant! The connection with the book and the author are much stronger when you can see where the story took place. If you have written a book and have used a well-known destination a brochure like this may be of help. If you are considering writing a story and have yet to decide on the location, again this may help. Help your readers to make the connection. 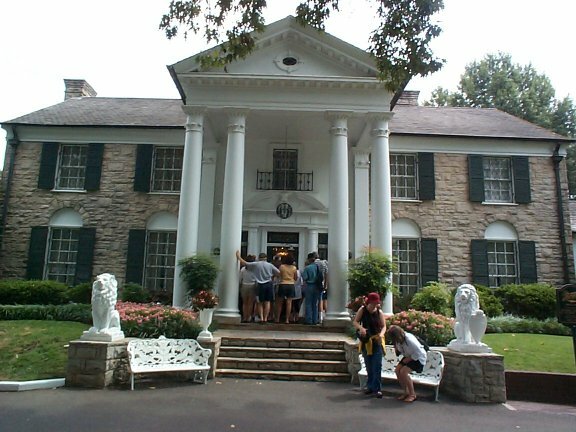 You can’t leave Graceland without feeling a little closer to Elvis. Do you ever write letters by hand and mail them? Why or why not? As a published author, I am often amused by what some people think of the life of a writer. The funniest comment I remember came a few months ago when someone said, “I wish I had a talent that allowed me to have a job that I didn’t have to work hard at. I envy authors, musicians and painters.” This person assumed that because I had honed my talents as a writer, my career was now like a day in the park…no hard work involved. Same goes for anyone with creativity involved in their careers. 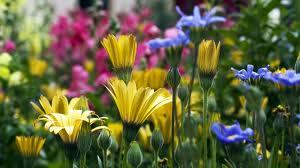 It can look to others as if we sit back and let the creative juices flow, then let the world snap up our masterpieces. I guess my career is like a day in the park…a day camping in a National Park maybe. To make the trip successful for my family, I have to do a lot of work. I research parks before we ever leave home. Then I print maps with detailed directions. I save money for expenses, plan meals and set aside funds for souvenirs. Only then can I begin the hours of packing. Finally, I load the car and add plenty of books and games for the journey. Once we arrive, I unload, set up the tent and begin to prepare meals. Finally, I snap a few pictures to load on Facebook to let the world see what a glorious trip we enjoyed. That’s how I see my time as a lifelong writer. I planned for this journey before I had books in print. To hone my skills, I spent hours with a pencil and paper trying my hand at biographies, novels, short stories and poetry--searching for my style and my voice. 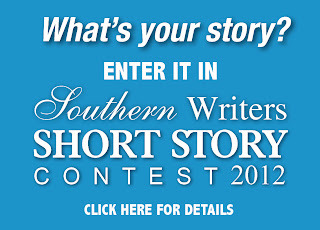 I entered writing contests and valued feedback from writers and editors. (Dedication to my career as a writer means still seeking feedback along this journey.) 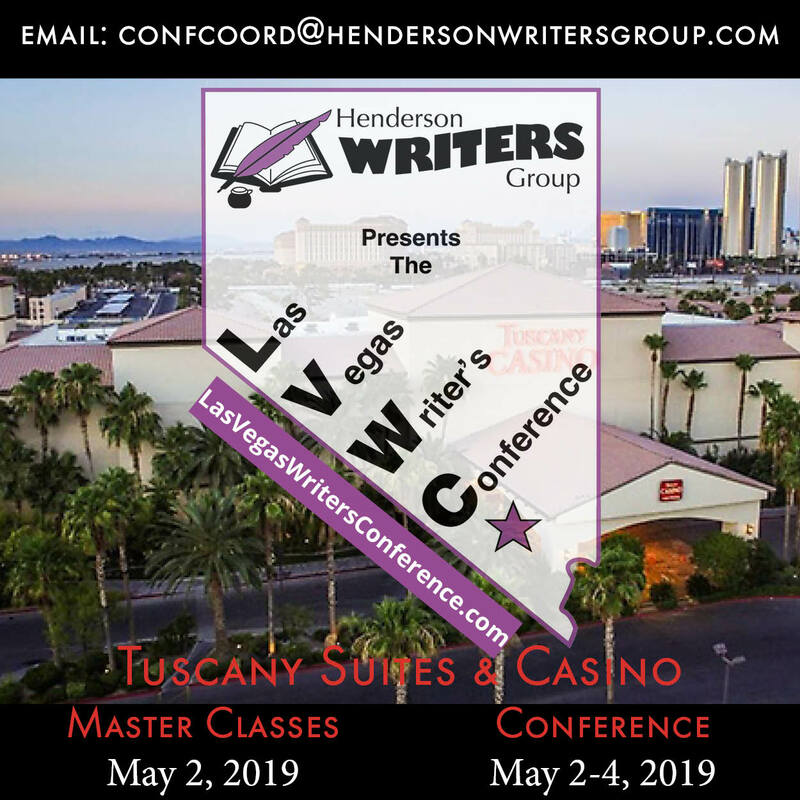 I have packed my “travel bags” with contest entry forms, writers’ conference brochures, writing seminars and notes filled with suggestions to sharpen my skills. I write, edit, rewrite and even throw away quite a few pages. I research market trends and audience preferences. I check out other books written on my subject or in my same style. What other short story collections are out there? 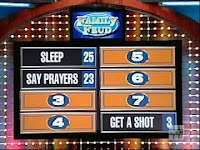 What Bible studies on this topic will I compete with? How are they priced and marketed? 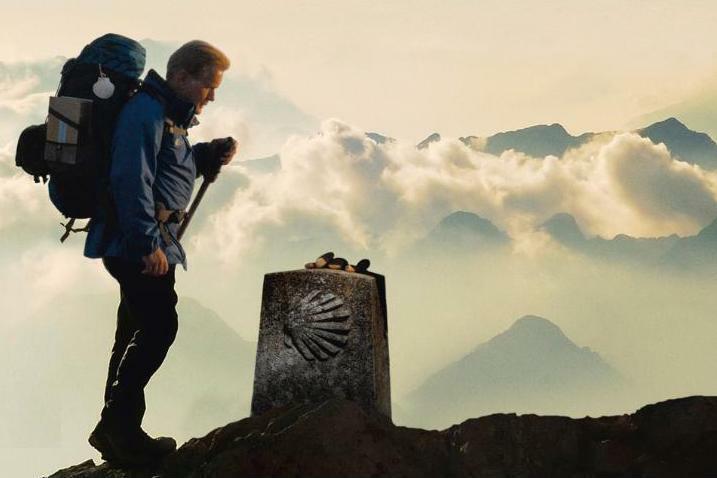 I finally “set up camp” before my audience, blogging and Tweeting to announce my latest book. I research opportunities to speak about my work, and I e-mail potential book buyers at all hours of the day and night. Only then can I snap my picture with my book cover and put it on an author’s page for friends to see the career I am enjoying. I don’t mind that my career looks easy to some people. That means I have written well, stayed true to my voice and provided a quality product for my intended audience. 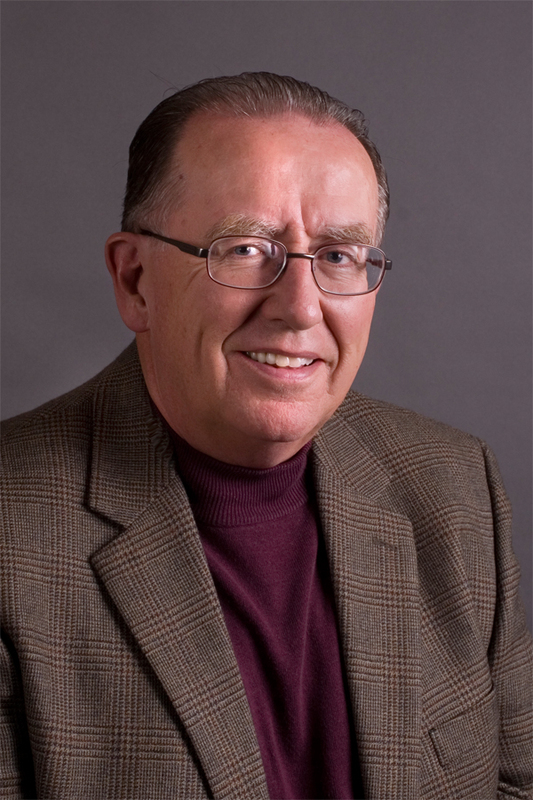 Chris Pepple is a freelance writer with three TCPRA awards for outstanding feature articles. Her articles have appeared in The New Social Worker, Tennessee Conservationist and other state and national publications. She has two published books: Look to See Me: A Collection of Reflections (2006) and Reflections on Suffering: Defining Our Crosses and Letting Go of Pain (2012). For more than four years, she served as the writer on staff at Lipscomb University in Nashville, Tenn. She received her Master of Divinity degree from Emory University. 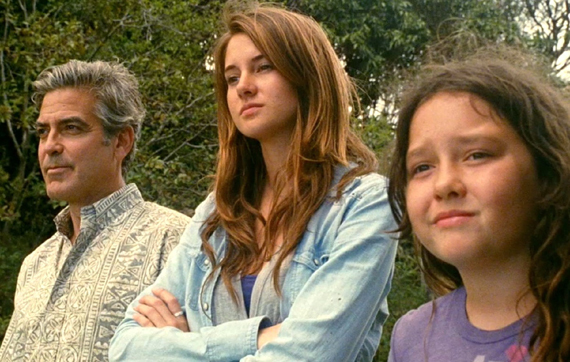 Chris is the mother of two daughters who delight her with their own faith, courage and love. How often in life do you go about comparing yourself to someone else? Let’s face it, most of us have said the words, I wish I looked like that, cooked like that. And what about those ‘if’ words? Ever said “If I had what they had" or "if I had talent like his”. For a writer that can be the kiss of death! Beware of comparing your writing to another writer. You have your own voice and you can develop your unique writing skill, so don’t try to emulate someone else. In general, we need to stop comparing ourselves to others and start looking for the treasures in us and become the best we can be. The same goes for a writer. Look for those treasures buried in you. Begin to nurture and encourage yourself, hone your skills and bring forth your voice and be the best writer you can be. You are meant to be unique, not a carbon copy of someone else. All the treasures you have inside are waiting for you to bring them into the light. We don’t always experience them in that order, nor are we necessarily visited by all of them. But this psychological observation is an excellent tool we can use to bring our characters to life. When we give our hero a challenge, we are essentially taking something important away from them. Whether we kill off their loved one, fire them from a job, or give them a crime to solve, we remove the comfort zone they were previously in. It becomes their task to deal with it, and different characters will do it in different ways. 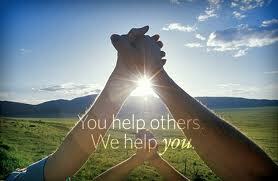 We’ve all seen heroes who, when initially approached for help, refuse the call to action. If they don’t believe in the cause – or in themselves – they deny the need to take up arms. Soon, however, it becomes personal and they have no choice but to act. During the course of the story, it’s satisfying to experience the same character arc as our protagonist. We identify with their anger and frustration when the villain is getting away with murder. We are right there with the hero, looking for solutions in our own mental bargaining table. We can appreciate how the heroine’s romantic slump causes her to eat a whole pint of Häagen-Dazs in one sitting. However, in the last stage – acceptance – we discover a distinct difference between real life and fiction. We’re not content for our heroes merely to accept the situation as it stands. We insist that they overcome. Peter Protagonist can’t merely come to terms with someone stealing his idea and getting rich from it. Peter has to come up with an even better idea and ultimately steal the thunder back from his opponent. Harriet Heroine cannot just learn to be at peace with college professors who fail her and cause her to drop out. She must rise from the ashes and become a superstar in her field, so she can throw it back in their face, as publicly and humiliatingly as possible. When a young Bruce Wayne grows up to be a caped crusader who captures his parent’s murderer, that has a nice full circle feel to it. When the career of the tiger lady in Baby Boom goes bust after inheriting a child, we cheer all the more when the baby becomes the reason for her even greater business success. We love poetic justice. 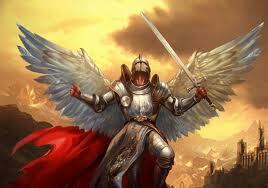 Confronted by trouble, protagonists go the extra mile and turn into conquerors. When it looks like they’ll fail, make them prevail. That’s why we call them heroes. 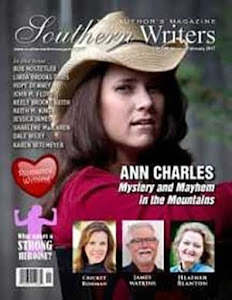 No, Southern Writers Magazine has yet to be placed in Barnes and Noble. Our magazines, in print and digital issues, are available on our website. 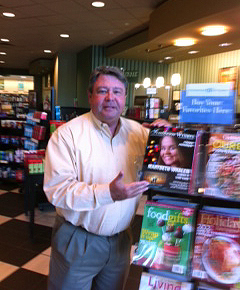 This was a visionary photo taken by our Editor-in-Chief Susan Reichert of me with our SWM copy on a shelf in the local Barnes and Noble. Every writer has hopes and dreams of writing that book, having it published and seeing it in a bookstore. 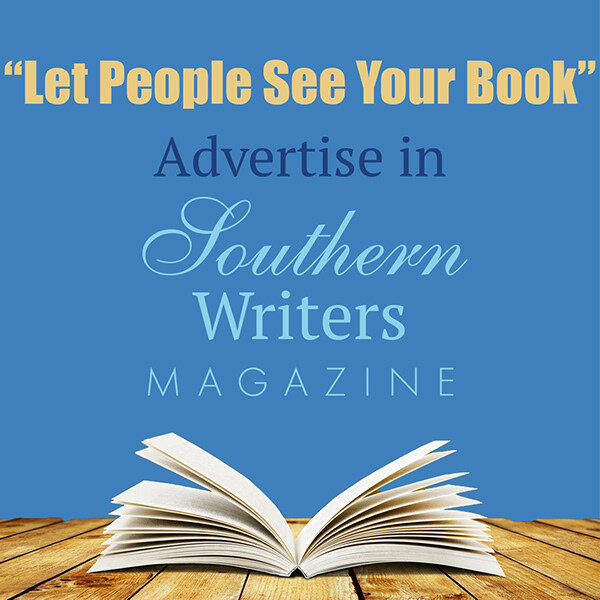 Southern Writers Magazine provides such an opportunity for our subscribers and featured authors with our very own Bookstore. Here is how it works. 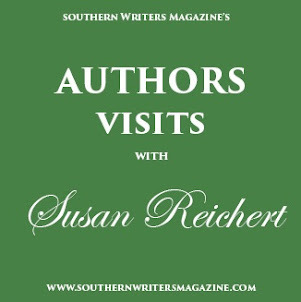 From the SouthernWritersMagazine.com home page you can click on the Southern Writers Bookstore button and it takes you to the Bookstore website home page. There you will a selection of books by authors appearing in the current issue. 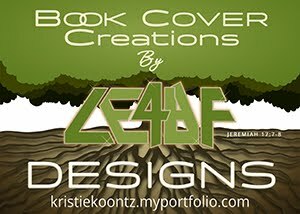 Just click on any of the covers you are interested in for more information. Additionally, you can click on By Issue or By Author on the bar at the top and will find every author ever featured in our magazine in one convenient location. There you will find such works as the New York Times bestseller by Andy Andrews, How Do You Kill 11 Million People? : Why the Truth Matters More Than You Think. Subscribers who participate in Southern Writers Mic Nite also appear in our bookstore. Browse our shelves by author or by issue, and you'll discover the finest in Southern writing. The Bookstore allows you to order from the convenience of your computer and have it delivered to your home or workplace. To provide you with the highest quality, quickest delivery and lowest prices available, we are proud to be affiliated with Amazon.com. You can order your selections with confidence from the number one online retailer in the world. 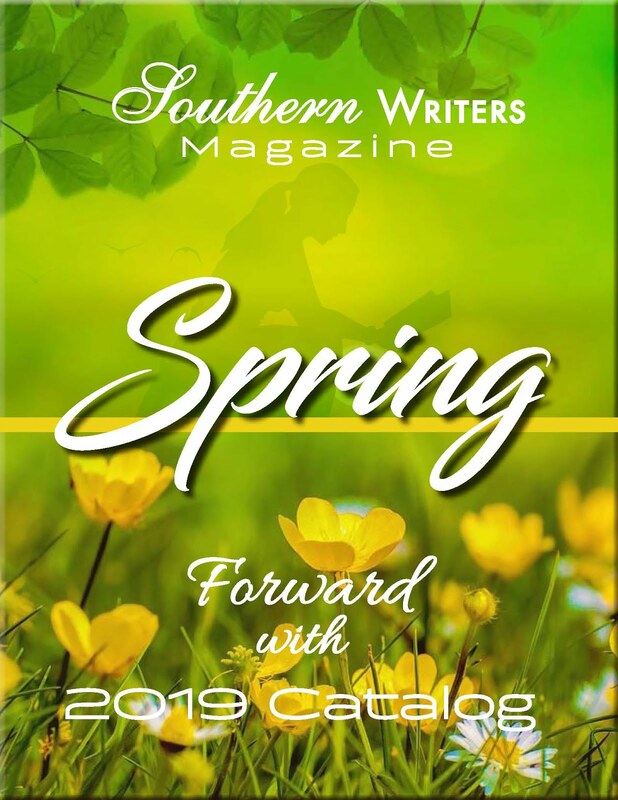 If you are an author with a book on our shelves or a subscriber looking for that special book, Southern Writers Magazine has a bookstore for you. Come in and browse! Writing for kids from a moral worldview can be one of the most challenging tasks a writer will ever face. When we write as Christians it is important to find a way to present truth to them that draws them in and engages them without blasting them. To do this I try to develop characters that let God work in them and through them to show other characters the love of God. If you are writing for kids, it goes even deeper. Kids don't read preaching, they read stories. In order for a child to get the message you have to engage them with a fascinating story. That means you have to drop the pastoral pontifications and doctrinal pronouncements and develop storylines that draw them in. In my book, "The Lost Coast", Punkin, Boo, and Megan have been hidden in a cave by their guardian angel, Michael. Megan has been wounded by demons so Michael prays for Megan and her arm is healed. God touches Megan's heart and the girls are able to ask the question, "Why should God let you into heaven?" Our libraries and bookstores are filled with vampires, zombies, werewolves, wizards and all kinds of powerful supernatural creatures. So warrior angels and demons are perfectly acceptable to kids. By the time the girls get to the salvation message, it is easy to tell Megan what the bible says: The only way to be really protected from evil spirits is to place your trust in Jesus Christ – and Megan does. Another thing - kids need to be pushed. I've always loved words – big words, strong words, complex words. I once had a mother thank me for not dumbing down my books, even though her son was only nine. Another grandmother told me that her fourteen year old grandson, who never reads, sat down and read my book straight through because the language challenged him. When you are writing for kids don't be afraid to confront them with words they have to wrestle with. Kids like to know that you think they are up to challenges and they respond to your trust. That really applies when you are writing for them. Make your books real. In a Christian adventure, don't be afraid to deal with the consequences of sin. I resurrected a terrible villain in the second draft of "The Lost Coast" because I didn't want to offend the sensibilities of my tender readers. 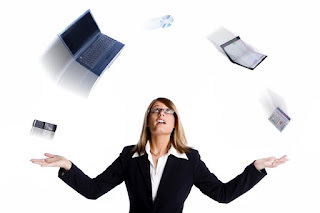 A friend read the rewrite and e-mailed me a curt message: "What is this, a camp-meeting? Not everyone gets saved you know." So I killed him again in the third draft and my readers loved it. And finally, develop characters that can be examples while learning from their mistakes. Kids need to identify with kids that are like them – they stumble and fall, but with the help of God, they get up and go on. Patrick E. Craig is a lifelong writer and musician who left a successful songwriting and performance career in the music industry to follow Christ in 1984. He spent the next twenty-six years as a worship leader, seminar speaker and pastor in churches, and at retreats, seminars and conferences all across the Western United States. After ministering for a number of years in music and worship to a circuit of small churches in Northern California, he is now concentrating on writing and publishing both fiction and non-fiction books. He has recently signed a three book deal with Harvest House Publishers to publish his "Apple Creek Dreams" series. The books are historical Amish fiction and the first book, "A Quilt for Jenna," will be released January 1, 2013. Patrick is represented by the Steve Laube Agency. Connect with Patrick online at Facebook, Twitter, his blog or his website! Did you know there is a rule in life that is at the core of achieving what you want? Of winning? Would you believe it has to do with the kind of support you get from other people? 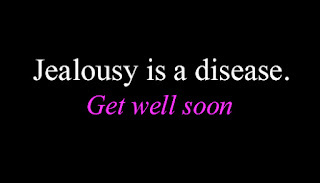 It’s very true. If you want examples here are a few. The sales representative who is selling his wares…if people do not buy them he fails to bring home a paycheck. Here’s a good one, what about the CEO of a company who tells his executive what he wants carried out who in turn tells the employees what they should do to make this happen and they fail to do it. Guess the executive along with some employees will get the hook! You have to make sure you have the right thinking toward other people if you want them to have the right thinking toward you. It’s our nature to do things for people we like. We will buy their product, we will take their advice, and we will get on their bandwagon and even help elect them. However, if we don’t like them, we will not help…won’t lift a finger. If there were two people that you were interviewing for a job, one came across as likable, personable, charming, and the other came across as stodgy, whiny, critical you would definitely hire the first one even if he did not have the experience and credentials the second one had. That is why it is so important to be sure and be kind to people, help them, and care about others. It comes across in your face and your attitude. Want to sell more books? Help other authors sell their books. Go for it! Mayday! How Can We Help You? While universally recognized as a distress signal, “Mayday” is also what today is, and I’ve mock yelled it at least once every year on this date, usually to some tolerant friend who pretends to appreciate my often groan-worthy puns. Perhaps broadcasting it to the blogosphere today will finally get it out of my system. Meanwhile, it’s appropriate that this attention-getting term is derived from the French phrase m’aider (“help me”) because today the magazine staff’s attention is focused on two things intended to aid our fellow writers. 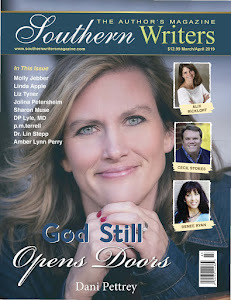 First of all, being May 1st, the newest edition of Southern Writers Magazine hits the virtual streets (online and by mail) today and it’s packed full of bestselling authors and topnotch writing advice. Notable is the fact that this issue includes a special emphasis on research and historical writing, two areas you’ve been requesting. You’ll find helpful insights on bringing history to life from Ann H. Gabhart, learn how to do reliable internet searches with Sheila S. Hudson, and get inspiring thoughts on writing memoirs from Kimberly Rae. You’ll also sit down with Allison Chase, Robert Noonan, Dorothy Love, Mona Hodgson, Ed Southern, and others who share their secrets of artfully capturing history on the printed page. 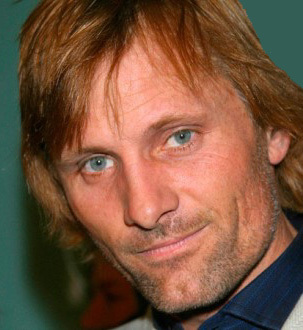 Have I mentioned Viggo Mortensen? A familiar face to moviegoers (Lord of the Rings is just the tip of the Viggo iceberg), you’ll discover a whole new side of this prolific poet in an exclusive interview with Sherry Perkins. And if you saw Courageous at your local cineplex you’ll especially enjoy Vicki Moss’ conversation with author and producer Michael Catt. 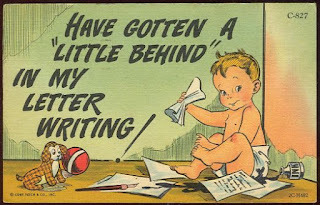 Look over the shoulder of children’s illustrator Robert J. Blake, get a look at Vicki Allen’s private writing hideaway, and discover how daily discipline helps Irene Latham find publishing success. There’s lots more and I could go on all day about the May issue, but you’ll see for yourself. Just keep telling us what you want in the mag and who you want to read about, and we’ll keep delivering. As our editor Susan Reichert said back in issue #1, this is your magazine, and you are helping to make it what authors tell us is their favorite publication for wordsmiths. As for the other May Day event on our minds: Tonight at midnight is the deadline for our Short Story Contest 2012! So you still have time to get your 1000-word opus into us for a chance to win cash prizes, subscriptions, and an appearance in a special short story issue we’ll publish of the winning entries. Details and guidelines are a click away. Thank you for participating, and good luck! Well, this has turned out to be one big shameless plug for the mag and the contest, but today it’s all we can think about here so I hope my enthusiasm has been at least a little contagious. In any event, we all learned a little French today. M’aider!